Having helped over 500 Americans alone ship their cargo and relocate to Denmark last year, we’re confident our services can assist you with all of your international shipping needs to this Nordic country. 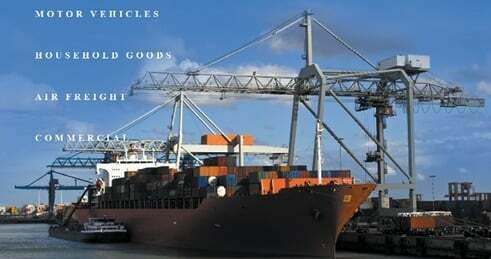 Schumacher has thousands of overseas shipments under our belts. We’ve helped entire families relocate to Copenhagen and shipped everything from collectible cars to classic motorcycles to Roskilde. So whatever it may be that you want to transport, we’d love to work with you. Items we can ship for you to Denmark include cars, boats and yachts, motorcycles, household goods, and other precious goods. We can even ship your pets to Denmark! Where Are Your Goods Going? The cities we have listed are the major port destinations; however, our nternational shipments reach many places across Denmark using different combinations of services including air freight, ocean liners and mainland transport. Once we know exactly where your goods need to go, we can make the appropriate arrangements for delivery. Just give us a call and talk with one of our experts. No matter what you are shipping to Denmark, it’s important to have a general idea of the controls and regulations in place. Customs duties and taxes will depend upon the items being shipped, the weight, method of delivery and country of origin among other things. Obviously it’s cheaper and easier to ship a few items than it is to ship your household goods or motor vehicle to Denmark. Overseas shipping to Denmark also depends on whether effects are new or used. Additional taxes generally apply for goods transported to Denmark that were not subject to sales tax or a goods and service tax. There is only about a 530ft different between Denmark’s lowest point and its highest. Denmark is one of the most expensive places to own and drive a car in Europe. It is 5,593.58 miles from Los Angeles to Denmark. To stay up to date with changes make sure to visit the resources from the US Department of State. and US Embassy.